Climate change has the potential to be so damaging to society that charities should consider refusing to help governments that do not try to ameliorate its effects, sector leaders have been told. 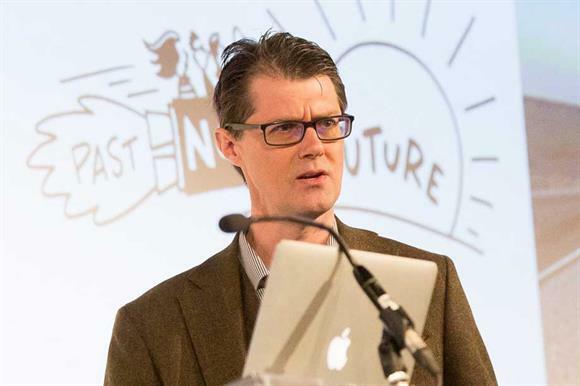 Mark Stevenson, a futurist, told delegates at the Charity Futures annual conference in London yesterday that everything in society was dependent on the environment to operate effectively, and charities should consider refusing to cooperate with governments that were making the environment inhospitable to future generations. "If the whole charity sector turned around to the government and said ‘sorry, but we’re not going to help you out because you’re not taking climate seriously’, that would be a very powerful thing," he said. Stevenson said it made "no sense" to focus on investment returns at the expense of environmental impact in investment strategies and called for more long-term thinking on the subject. It was also "very surprising", he said, that most organisations did not have a chief futures officer. He said he would like to see more organisations have a CFO who was not a chief finance officer but a chief futures officer. Also speaking at the conference, Caroline Fiennes, founder and director of Giving Evidence, discussed some research she was leading to highlight issues affecting the charity sector that were under-researched, sometimes because researchers did not realise the issues were there. She said that many charities thought "academic research is quite irrelevant to them", and many of the questions people had were on research and research techniques that already existed. Research infrastructure in the charity sector needed to improve if people were to be able to find use research produced by charities, Fiennes added. "In our sector, what happens is that people publish research on their own websites," she said. "If you don’t know that website is there, you don’t know to go and ask for it. And there is no organised tagging system for that."